Bursitis of the elbow is the inflammation of the small sac of fluid on the back of the elbow (funny Bone a.k.a Olecranon). It is sometimes called Popeye elbow. With movement of the elbow or pressure on the elbow. It can also be very tender to even touch. You may have had a sudden injury, such as a blow to the elbow, causing bleeding or fluid buildup or an infection. 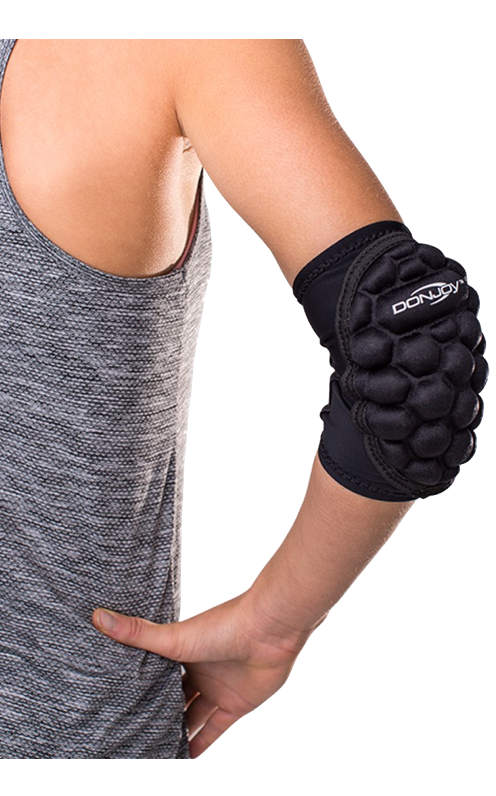 A brace or support should focus on protecting your elbow during activities. 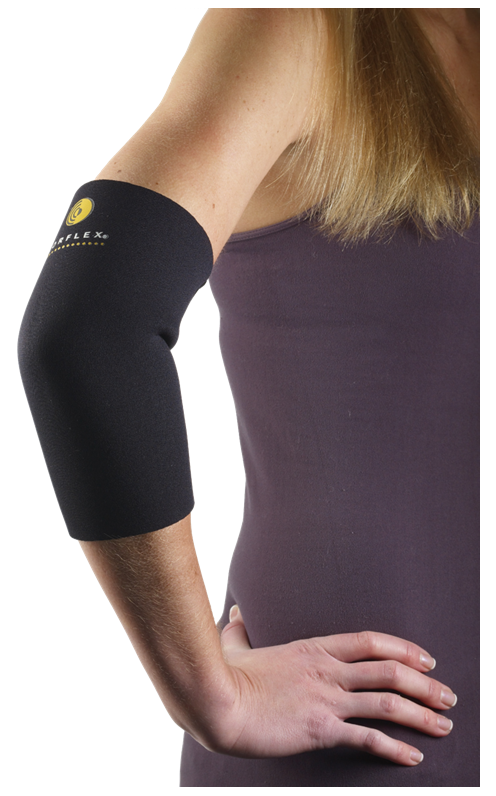 An elbow support with reinforced padding or a gel insert will relieve and prevent pain. P.S. Avoid leaning on your elbows and if the swelling persists see your doctor about getting it drained.